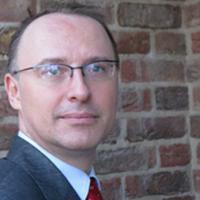 Engelbert Stockhammer is Professor of International Political Economy at King's College London. He has worked on Post Keynesian Economics, financialisation, wage-led demand regimes and economic policy in Europe and is ranked among the top 5% of economists worldwide by REPEC. He has published numerous articles in international peer-refereed journals including the Cambridge Journal of Economics, Oxford Review of Economic Policy, International Review of Applied Economics, Journal of Post Keynesian Economics, British Journal of Industrial Relations, Environment and Planning A, and New Political Economy . Recent books include Wage-Led Growth. An Equitable Strategy for Economic Recovery.